Enjoy our great menu at lunch from 11:30 AM to 5:00 PM. Dinner begins then and runs until midnight. We offer great appetizers, mini sliders, wings, our delicious burgers, and much more. Our salad bar is loaded with lots of goodies, plus you can add protein, avocado, tofu, quinoa, or even a veggie patty for a small charge. We offer a variety of cocktails, boozy shakes, sangria, and beer in bottles and on tap. Our brunch menu offers a selection of favorites, and we give you unlimited mimosas and sangrias. 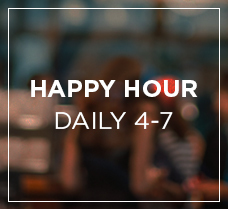 Happy hour runs Monday through Friday from 4-7 PM. Along with our 2-for-1 specials on wine and cocktails under $11, we have a range of bites including vegetarian spring rolls, turkey meatballs, Szechuan-style shrimp and calamari, mini guacamole, and las caesar salad. You can book a table with us online by clicking here and clicking on the “Book a table with Open Table” link found there. You can also sign up on our homepage to receive updates from us about special offers and events. We also want to thank South Florida for voting us the Best New Restaurant in Broward County. We are humbled and will work hard to satisfy our customers. 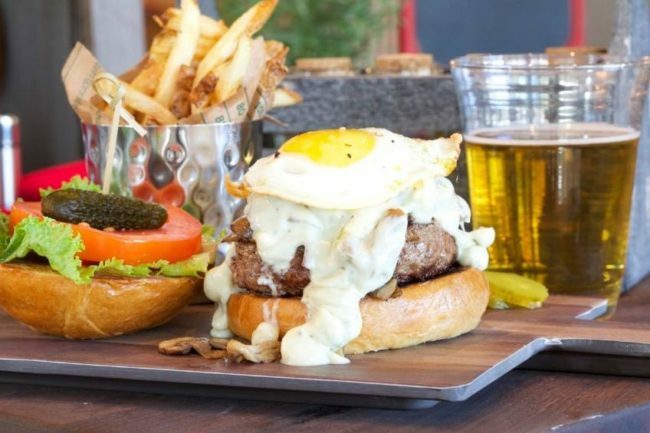 B Square Burgers and Booze is located at 1021 E. Las Olas Blvd in Fort Lauderdale. Stop by soon for lunch, dinner, brunch, or our daily happy hour and become part of our B Square family!